The stars of Marvel’s Avengers have recently descended on Edinburgh for the filming of the Hollywood juggernaut’s latest instalment. And at the same time, ten whisky superheroes arrived at The Scotch Whisky Experience for the attraction’s annual An Evening with the Blenders event. Now in its sixth year, the event takes place off the back of the International Spirits Challenge, when the blenders put their senses to the test by judging and scoring hundreds of drams in the space of just five days. 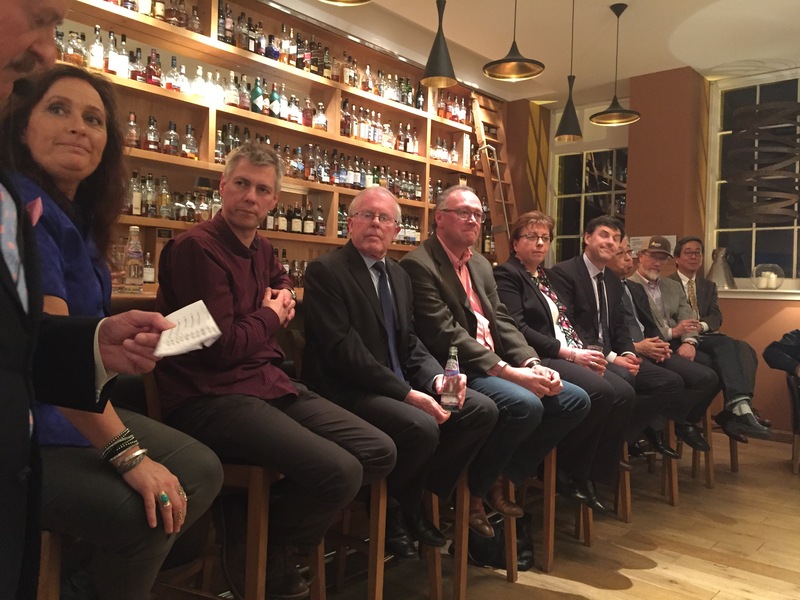 For many, this may sound like fun, but it can be a gruelling task and those at An Evening with the Blenders were lucky to snaffle some time with these whisky wizards and witches. With many punters returning from previous years in attendance again, there’s a core community been built-up over the years, which always makes for a cracking evening. After the introductions, we headed up to the Castlehill Room, where the drams started to flow. The blenders always manage to get a nice balance on the night between old classics, new releases and one-offs. Personal highlights included classic The Balvenie 21; Diageo’s re-entry to the Irish market market in the form of Roe & Co; and the limited edition Highland Park Fire. However, the dram that absolutely blew me away was a 27 YEAR OLD Midleton. Blender Billy Leighton explained that the whisky had been drawn straight from the cask, and had been matured in first fill bourbon for five years prior to a stonking 22 years in Port pipes. This provided the massive fruity, sherry burst you might expect, but the lightness associated with Irish whiskies was still there to be found. Billy said this was a one-off, which would never be hitting the market. However, I did feel a bit like a (willing) guinea pig. Following a quick look at the attraction’s new Sense of Scotland tour, we finished up with a Q&A, again hosted by Richard Paterson. 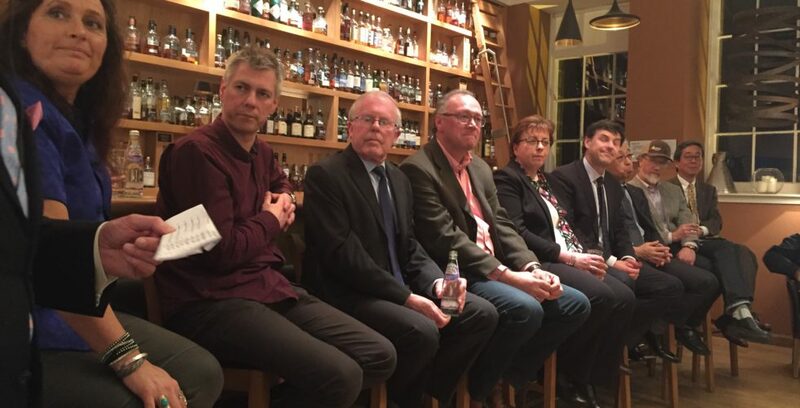 Although this part of the evening can often get bogged down with whisky bores hogging all the questions, there was still the chance to dig down and see what makes these guys tick. The abiding memory I was left with was the utmost respect which all the blenders have for each other. Yes, they my work for competing companies, but they all love and respect Scotland’s national drinks – a fact which was evident in the drams they’d presented us with earlier in the evening. A fantastic evening, as always – if you haven’t been before, make sure you get along next year. You can find out more about the attraction by visiting its website. My ticket for An Evening with the Blenders was provided by The Scotch Whisky Experience, who are also a client of mine in my day-to-day job.